January | 2014 | Small Farmers. Big Change. I was in a hot room, sitting in a circle with colorfully dressed Ugandan women representing the 10 primary societies of Gumutindo Coffee Co-op. Right away I knew that I was taking part in something special. It was 2010, and while I travel to coffee regions frequently, this was my first visit to Uganda. We’d created this open space to get to know each other better. I wanted to learn about the daily lives of these women, many of whom struggle to cultivate coffee to sell to buyers like Equal Exchange, and grow their beloved matoke (banana) for consumption in the home, on a small piece of land. They also wanted to hear about my life in the United States, and about my son, Magnus. For me, this was the beginning of a journey that would teach me about the lives of some of these women in intimate detail: their trials and tribulations, joys and celebrations. Tea grown at the ashram. 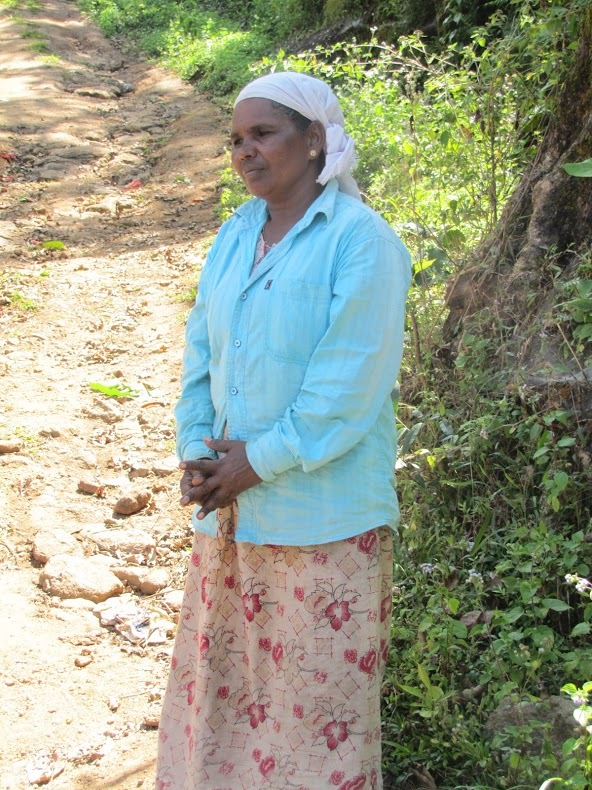 Among the small farmer groups working with PDS are the Adivasis (tribal people), an ashram, and a convent. 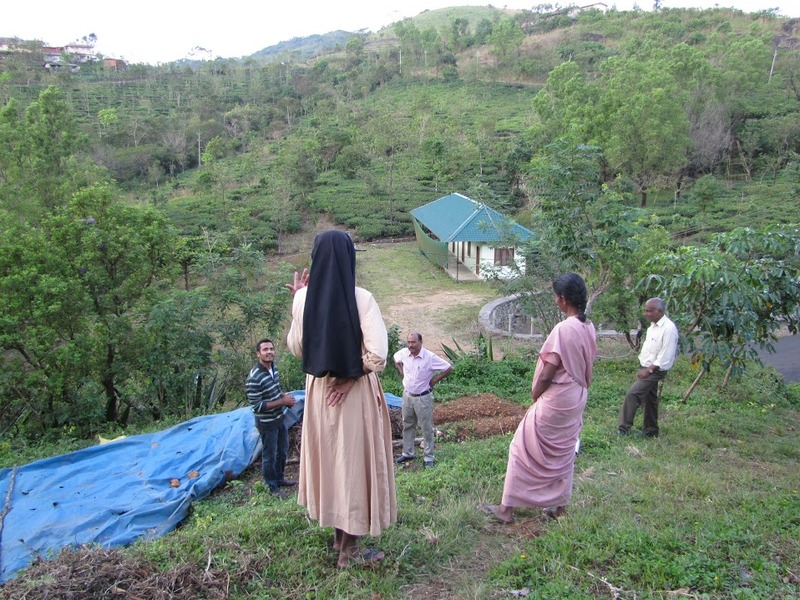 Here we are learning about the tea grown by nuns at the convent, and their very impressive organic composting practices. 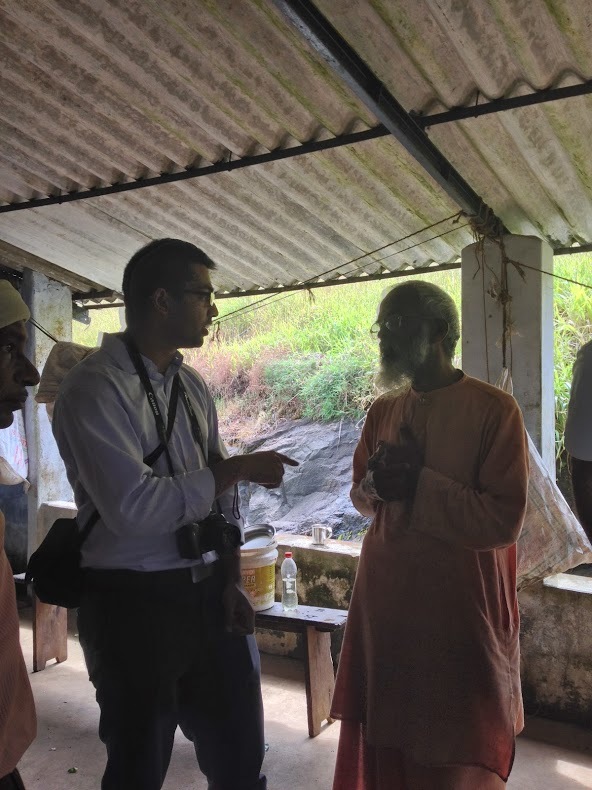 At the ashram where in addition to their spiritual practices, they grow tea, fabricate organic compost, and raise cows to generate income and provide the local community with dairy products. 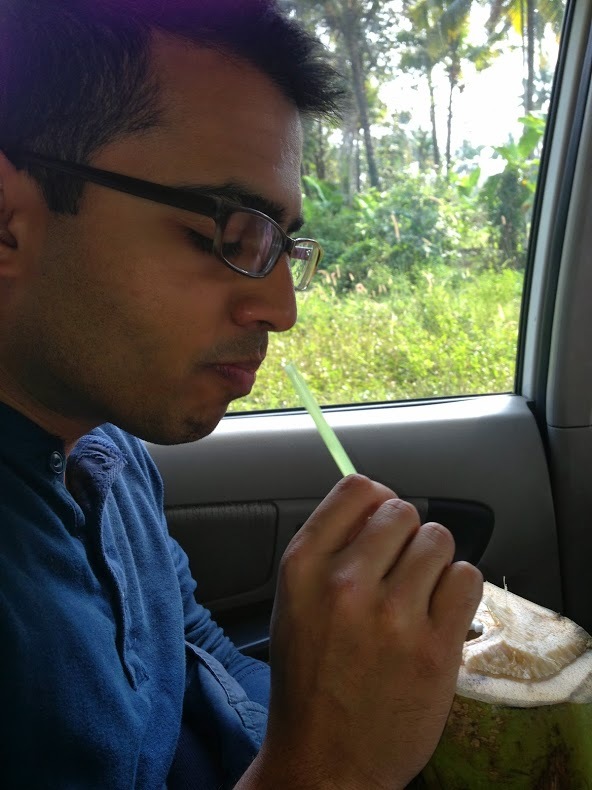 In December, Deepak Khandelwal, Rink Dickinson and I spent four days in South India learning about the Peermade Development Society (PDS) and their work. (Read Rink’s reflections on PDS’s Small Farmer Tea Project here.) 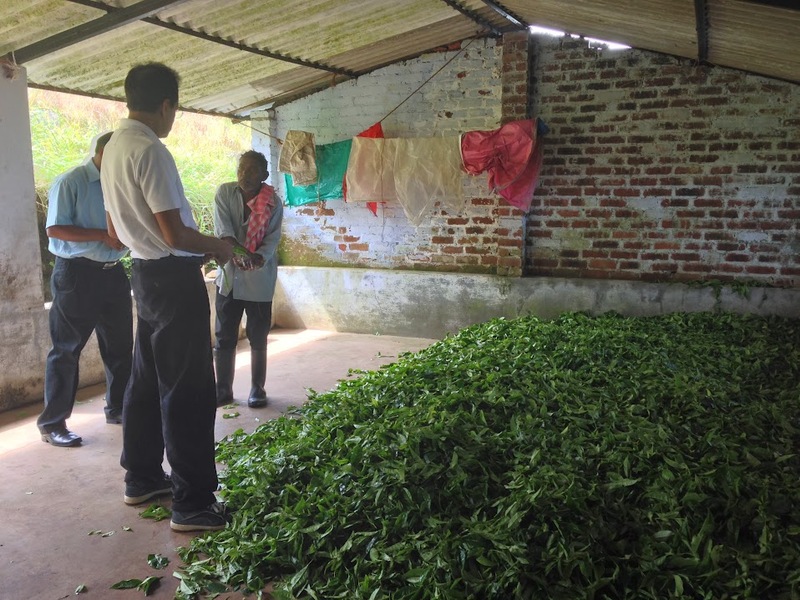 We visited small tea (and spice) farmers whose tea leaves can be found in our Small Farmer Big Change tea; toured PDS’s tea and spice factories; and spent many hours in engaging discussions with PDS staff and our TPI friends and partners who came from Calcutta to meet with us. Indian politics, the tea industry, and the highs and lows of fair trade were among the topics we covered. (… as well as the international “incident” involving the Indian nanny and the U.S. State Department.) The discussions all occurred over phenomenally delicious meals created by PDS’s infamous cook, Pepper Joe, who uses only local, organic vegetables, leafy greens, and spices; during long road trips through rural villages, small towns, and protected forests; and while enjoying cool summer evenings outside PDS’s Ayurvedic Center, where we were so graciously housed and fed. We hope that the start to 2014 brings with it new energy and positive growth, both personally and professionally, to everyone in our Bananacado network. This first 2014 edition of the newsletter is filled to the brim with tools to jump start the authentic fairtrade conversation: perfect timing for those with resolutions to eat better and make the world a better place. Marvel at the 2013 Impact Infographic, or watch a new animated short about banana history, or plan to attend the Banana Conference in Boston in March. But pass on what you learn to colleagues, friends, and customers. We’re putting our best foot forward this year- not just leaning on past success, but gearing up for what lies ahead. We’re counting on you to help raise the debate over our food system in 2014. 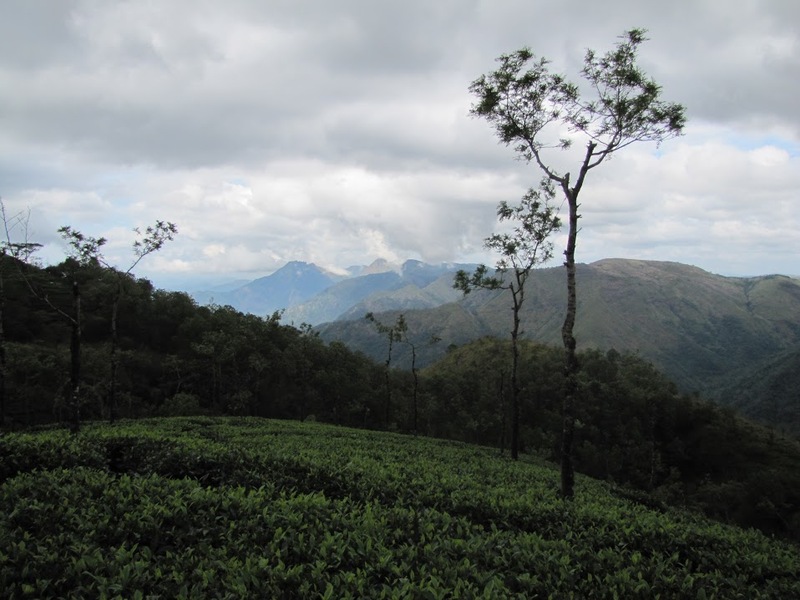 Here in South India, we can report there have been positive changes in the last few years in the effort by Peeramade Development Society (PDS) and Tea Promoters of India (TPI) to empower small tea farmers. Peeramade Development Society is a Catholic church of India based NGO that has a variety of projects to support the rural poor. 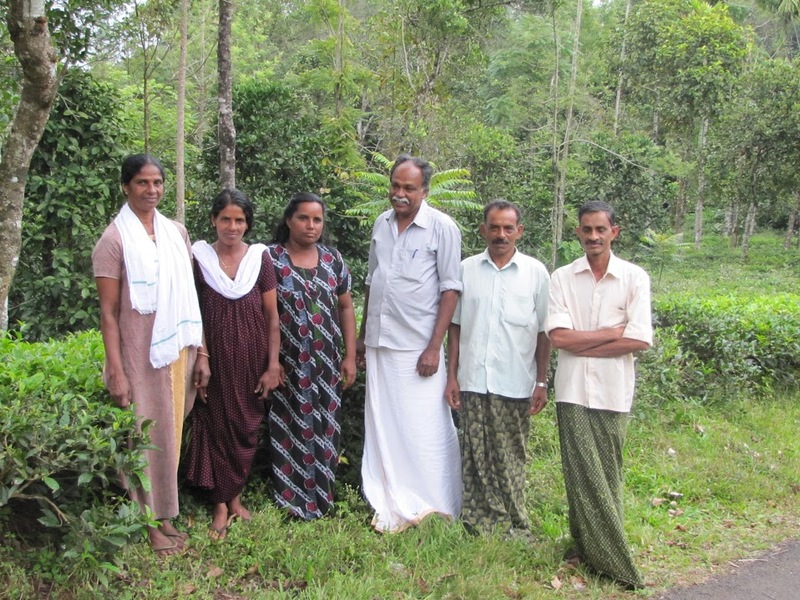 Tea Promoters of India is a unique family-owned tea operation that has a foundational commitment to authentic fair trade and to small tea producers. 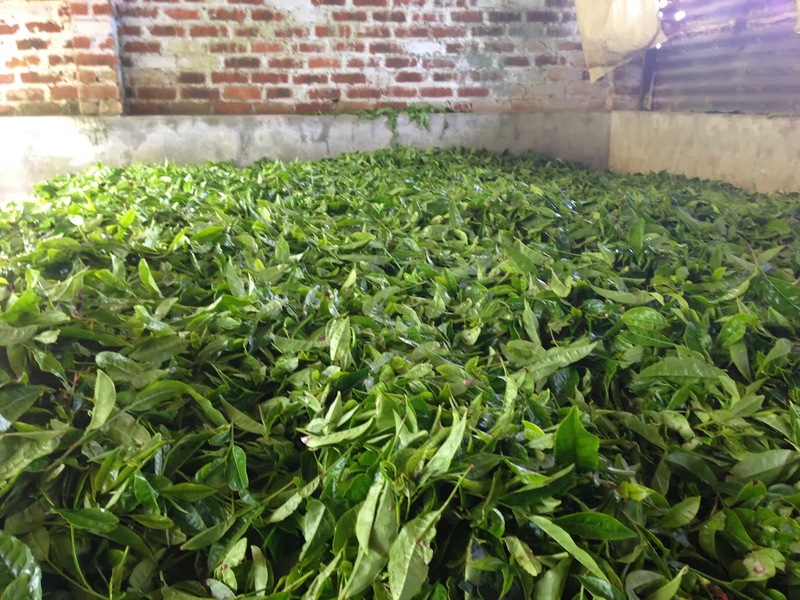 In 2004, PDS received a major investment to build a tea factory, to buy and process leaf from small farmers, and to export to ATO’s and sympathetic buyers in the global north. The factory was designed to process low quality CTC (cut,tear.curl) tea in high quantities, which in hindsight was clearly an ill-conceived strategy. The project was not implemented in a lean manner. 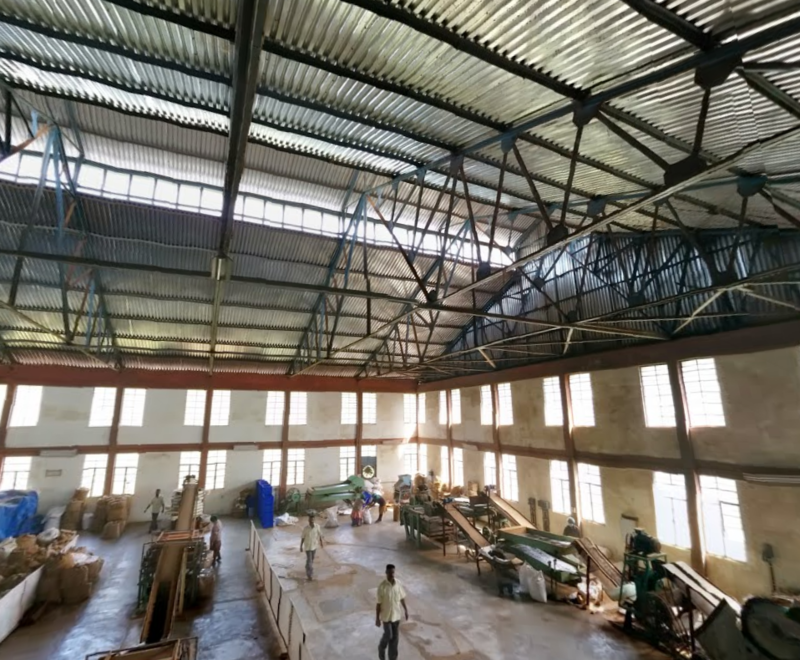 The end result was an expensive, massive facility set up with the operational driver of processing large quantities of low quality CTC processed tea. The factory also did a poor job marketing to ATOs and sympathetic buyers in Europe and the U.S. The result was a failure on many levels. The volumes of tea were never really there to get the factory near break-even. The northern buyers did not find the PDS operation easy to work with. The financial losses mounted. On the farmer level, some 2000 small farmers were given the signal to sell their leaf to the factory. But as the sales weren’t coming from northern buyers, and as finances became worse, the factory bought less and less leaf from the farmers. 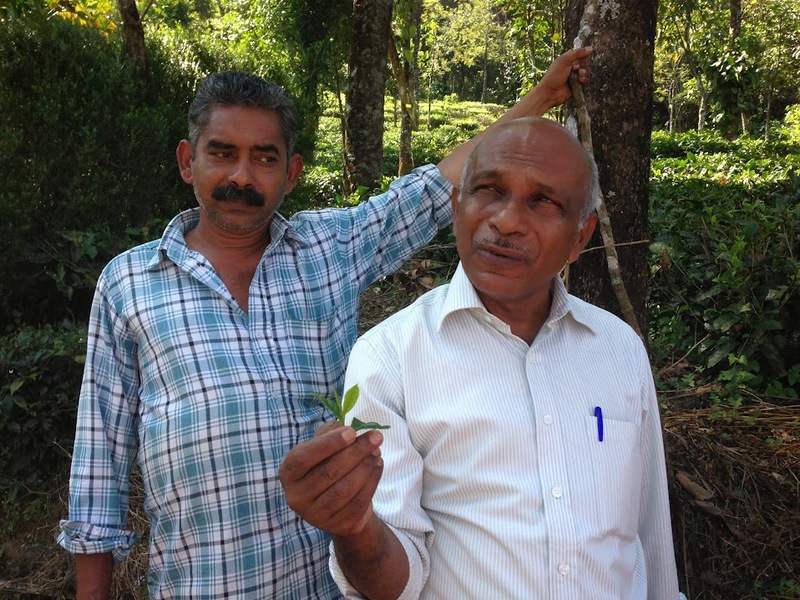 Unable to sell their leaf, farmers stopped tending to their tea bushes; reducing production and quality and starting a cycle of divestment. 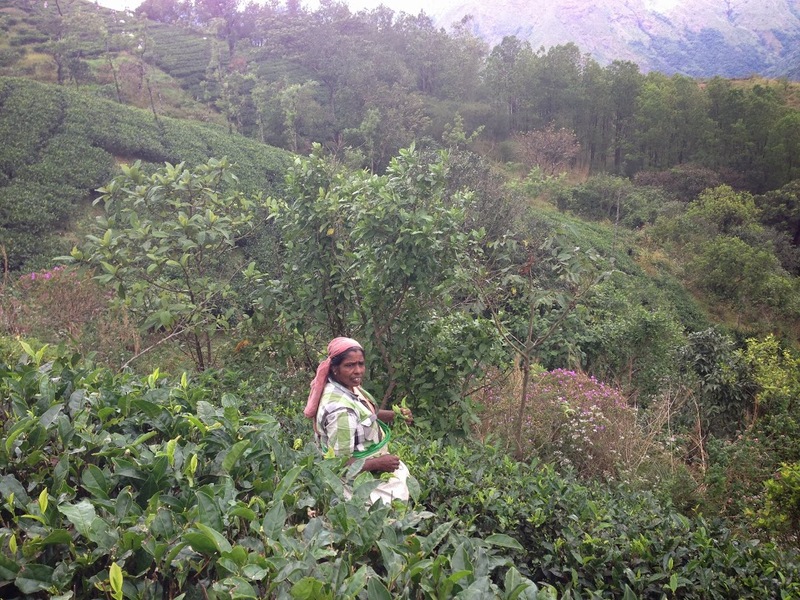 TPI, based in northern India, is a long time partner for Equal Exchange in the work of building a small farmer tea supply chain. 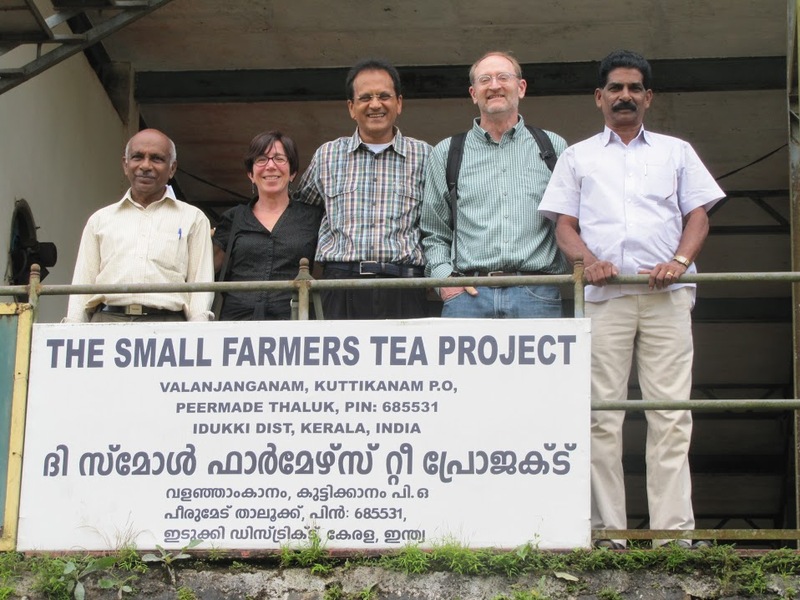 TPI changed the strategy, the factory, the quality systems and, ultimately, the culture of the PDS project: now reborn as the Small Farmers Tea Project. A key change was to bring in Mr. M C Dominic, a TPI staff person who is a native of Kerala. Dominic has generally worked half time in the north and half time in the south and because he speaks Hindi (north India) and Malayalam (Kerala), and because of his skills and experience, he has been able to transfer the TPI system to South India. On the operational level, the factory has been completely re-done. The CTC lower quality tea strategy was thrown out and replaced by new “orthodox” higher quality, larger leaf strategy. 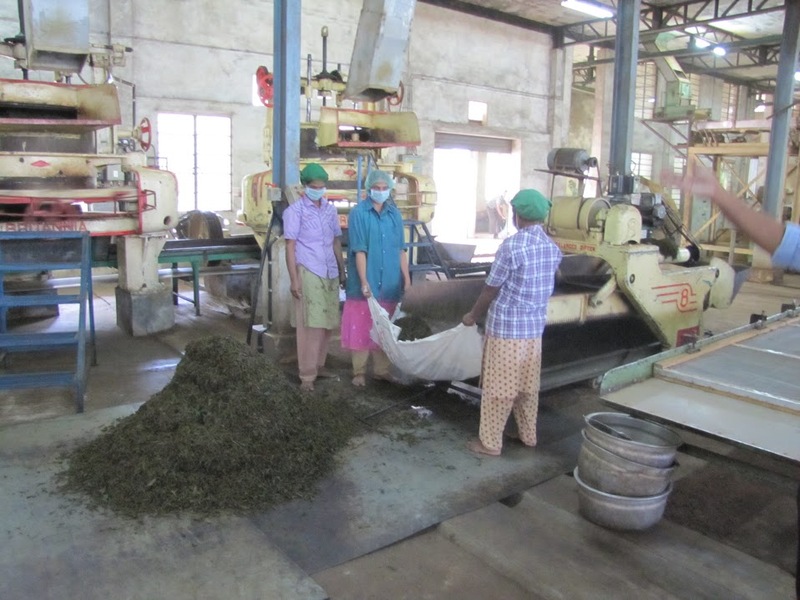 Orthodox machines, rare in the Kerala tea industry, were brought in and installed. Because Orthodox machines and processing are new, this was an operational change, a cultural change, and a strategy change all rolled into one. Underneath this is TPI’s deep knowledge of the market, both in-country and in the global North. 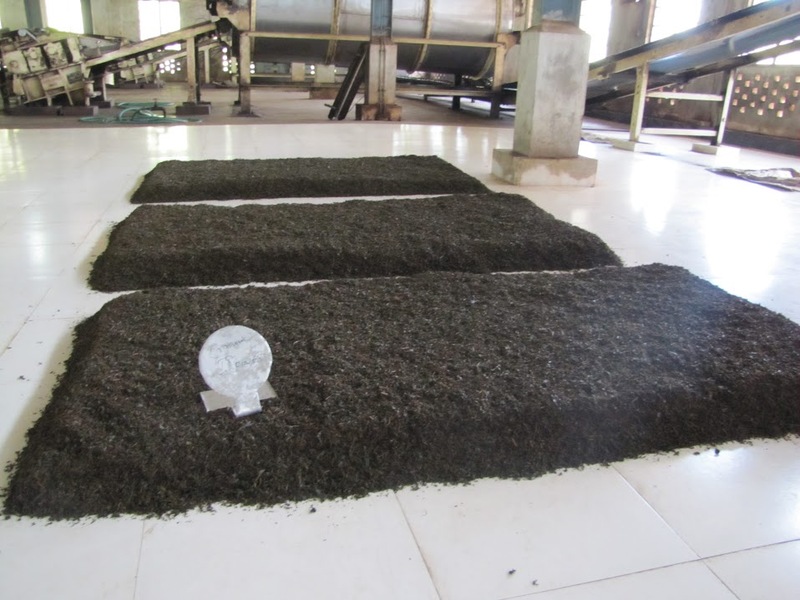 TPI understood that the small farmers could not compete in CTC and that the machinery and the culture of Keralian tea had to be challenged if there was going to be any space for a social based tea in what is a very competitive market. The fact that “fair trade” in tea usually means large plantations with low costs, or controlled labor projects without democratic content, selling at pathetically low prices (such as in Kenya) made the challenge facing the PDS small farmers even greater. So the strategy of TPI and PDS in this new period has been to move to more investment, higher costs, and more processing steps, in search of a higher quality and a higher market price. It is a gamble: not making these changes, however, would have meant no chance for success. As a result, this massive factory that was working at a fraction of its CTC capacity has been partially brought down to size by moving to a lower scale more customized orthodox processing. But still the factory had to bring in much more leaf to get it running in a reasonable fashion even as a lower volume orthodox factory. 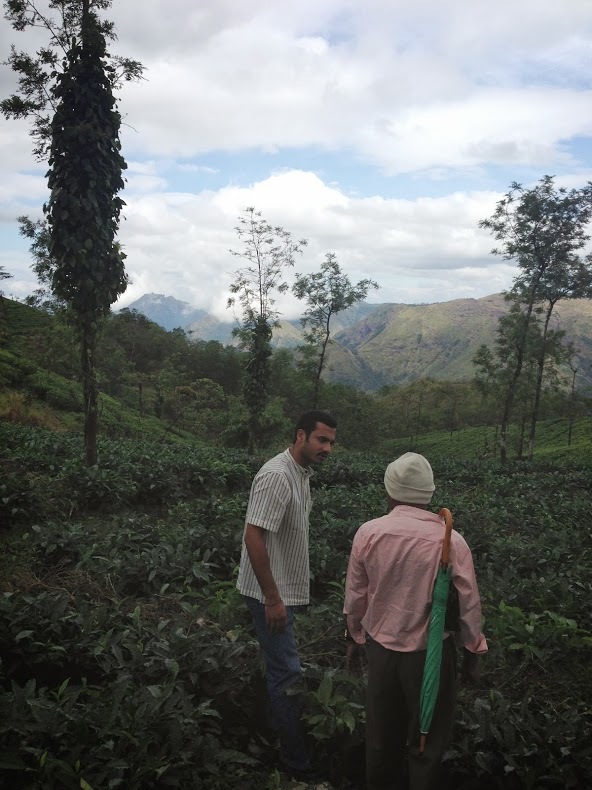 During much of the same time period that Equal Exchange has been telling store accounts about real small farmer fair trade tea, and serving tea, and promoting tea, Dominic and his team have been knocking on doors and going back to small farmers looking for leaf and preaching the new quality path. The leaf a farmer plucks on their family plot at PDS is not the same leaf as what a small farmer plucks in Darjeeling at Mineral Springs or Potong. The Darjeeling culture is to only pluck the top two leaves and a bud from the new shoots of the bush. This is part of the basis for the high quality and strong characteristics of the Darjeeling cup. In PDS, and Kerala in general, the culture is to pick much more including the bigger leaves and rougher leaves which add weight but greatly reduce quality. This in turn leads to spending a great deal of factory time taking out the leaves that really should never have been plucked in the first place. The new TPI formula is to pay well above market price but to teach the farmers to pick less and to pick better. 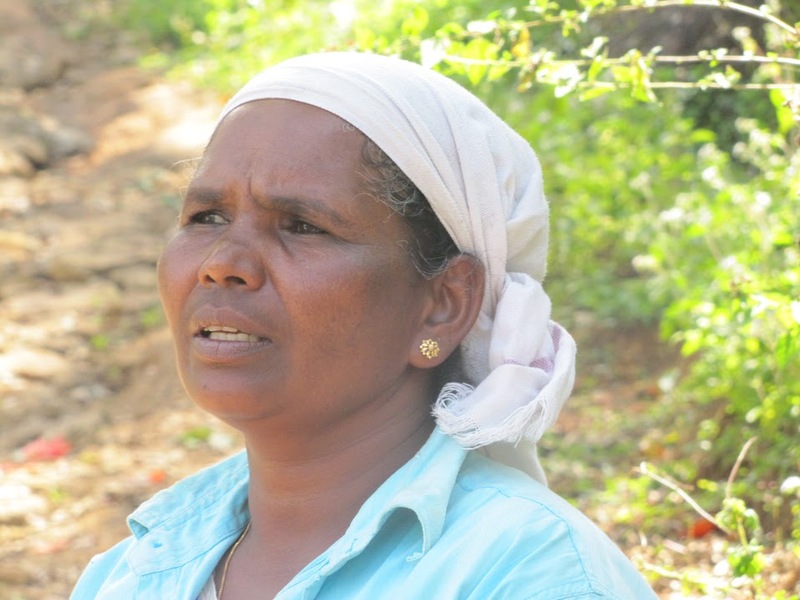 The need to find more leaf has led TPI and PDS to work with organizations that are compatible with the Small Farmers Tea Project but are not small farmers. 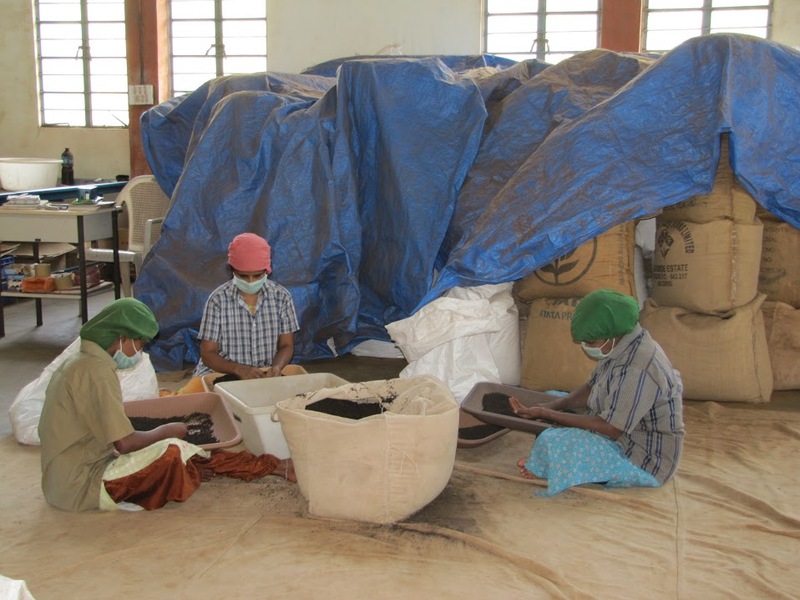 One example of this is the Kurisumala Ashram which is a meaningful leaf provider and part of the overall project. 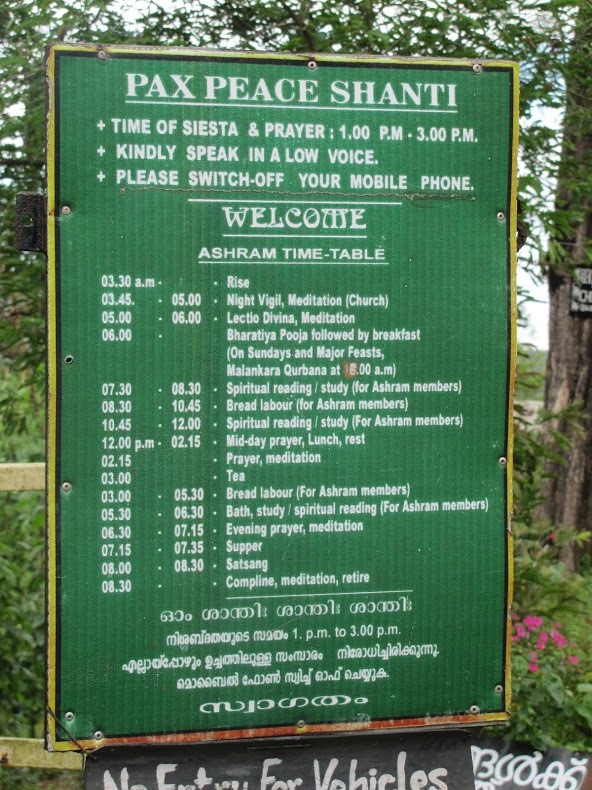 The Ashram is a community of Christian spiritual seekers who live a simple agrarian life in near silence. 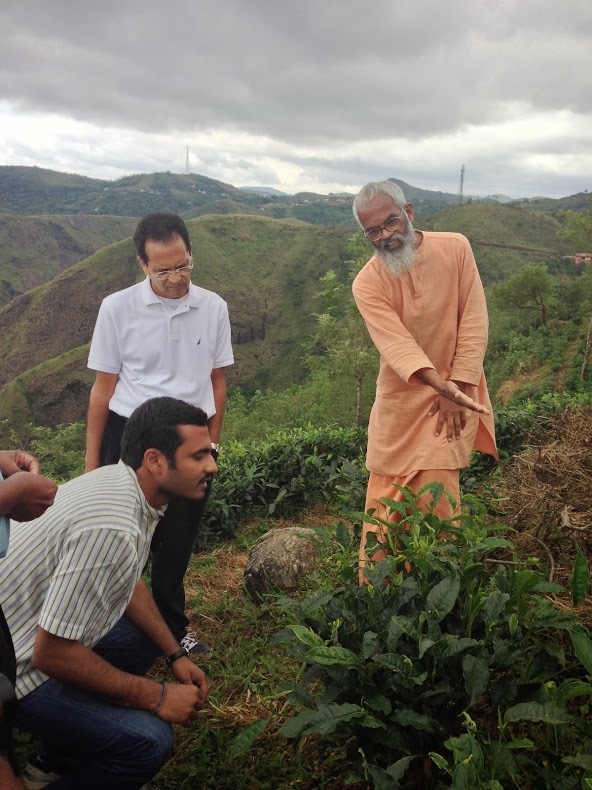 The Ashram runs a 150-head dairy operation, manufactures milk, bakes bread for consumption, grows food for consumption, and now grows tea for the project. But the backbone of the project is small farmers who grow tea in diverse small plots along with many other crops including pepper, papaya, cardamom, vegetables, and often animals, such as cows or goats. 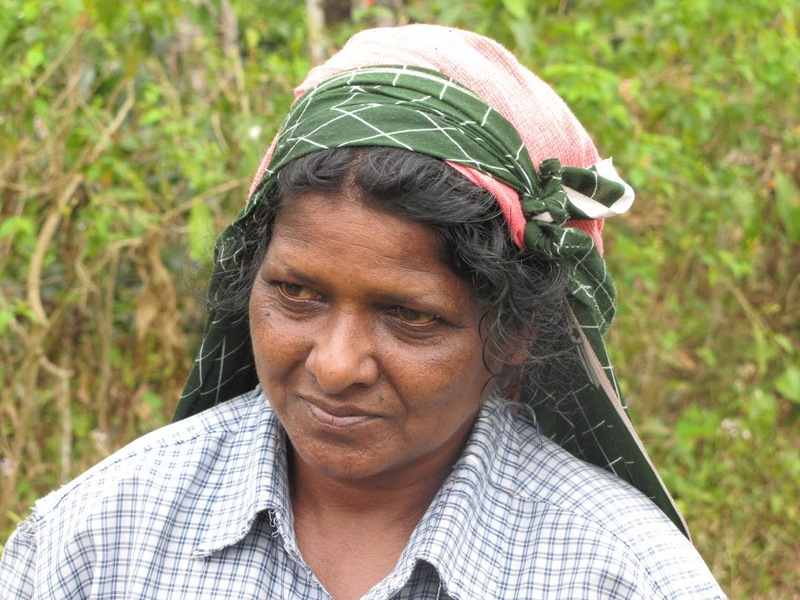 TPI is actively reaching out to these approximately 185 farmers asking them to supply tea leaf and educating them about the need for less rough leaf and the importance of picking just the young, fresh leaves. The factory has increased prices for higher quality leaf above the already above market price they pay to push these farmers towards quality. 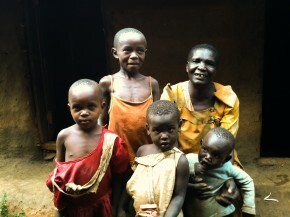 Another related change to make the new tea system work is to incentivize these farmers to pick their bushes more often. The more the bush is picked, the more dense, productive and tender it will be, which further supports the higher quality direction. All of these modifications are slowly making positive change. The crop is being more actively managed. Quality has begun to improve. More farmers are getting to sell their leaf to the project. The project cannot remove the debts of the past but is now operating successfully and sustainably. A corner has been turned and the South Indian small farmer tea gains of the last ten years have been saved. It has been a tremendous commitment to put the Small Farmers Tea Project back on the path of sustainability. It has taken great commitment for Equal Exchange in the US and the UK and our allies to build a small farmer option in the marketplace. It is increasingly clear that consumers will get a choice. There will be socially responsible tea programs such as Rainforest Alliance or similar programs such as mainstream little-impact fair trade. These programs will be on almost all tea products supported by large plantations and large retailers. But there will also be an authentic fair trade tea supply chain. These tea products support small farmers, democracy, fair trade organizations, and stores who want real options for their customers. We still have a long way to go to reform the tea trade. The task is quite challenging. But it can be done. The pieces are now in place. 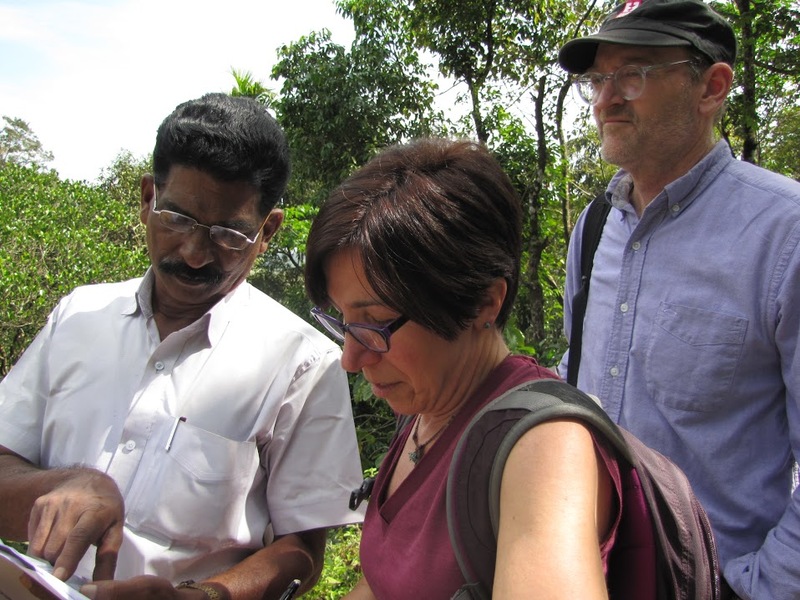 I am on a trip with my colleagues, Wells Neal, Deepak Khandelwal, and Phyllis Robinson. 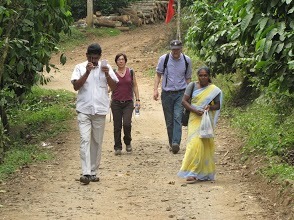 We have been visiting tea farmers and cashew farmers in South India. 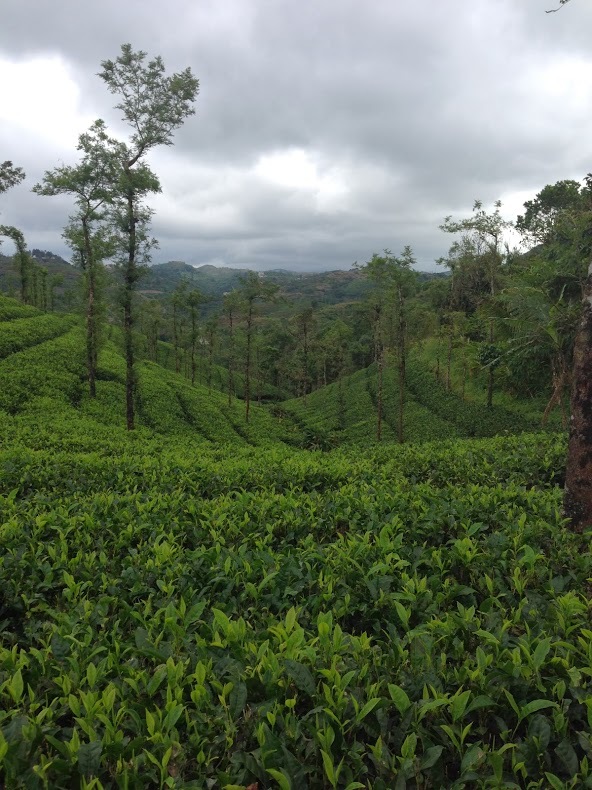 This post focuses on what we have seen on the tea part of the trip and how it relates to the overall story of small farmers in tea: that is to say; authentic fair trade in tea. Equal Exchange worked in tea in 1987 and 1988. We had a great tea, which consumers were buying and which was turning a profit. Nevertheless, we chose to end the program; concluding that there was no path to develop a real small farmer supply chain. 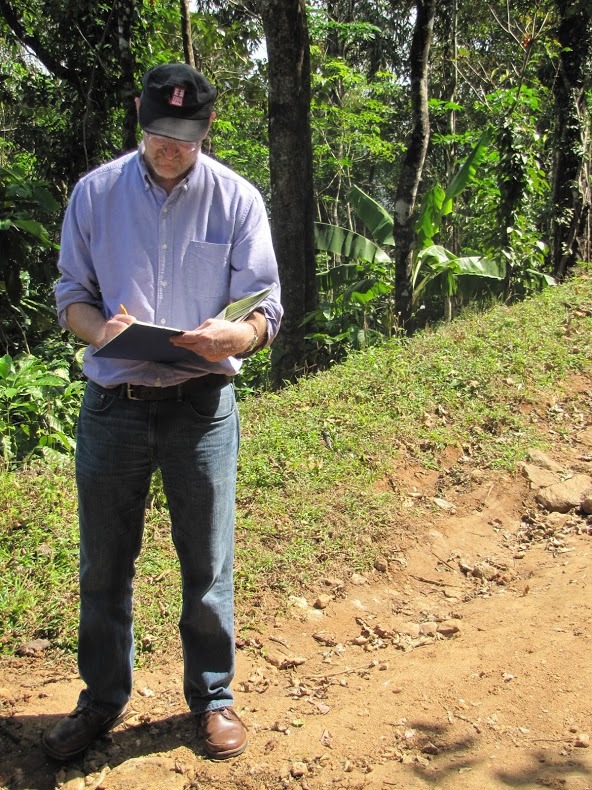 Ten years later, as a larger organization with more resources, we re-started the work of trying to reform the tea market to the benefit of small farmers. This process has often been slow and Sisyphean-like. At times, we and our partners have lost energy or faith that we could create a seat at the trade table for small tea farmers. But the truth is that the coffee struggle was not easy either. It took a solid ten years of hard work in coffee before we were able to see the beginning of what would eventually become a successful, powerful reform of the coffee market. 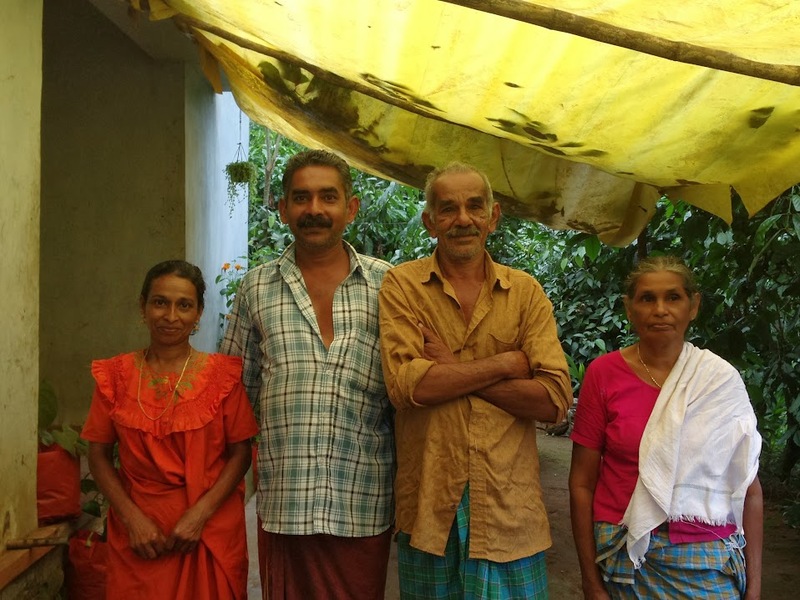 Here in Kerala, in South India, we can see some small but important steps taking place in the struggle to secure a seat at the table for small tea farmers. These steps, in tandem with some positive developments in the US, are creating a mutually positive cycle in the important work of creating a small farmer tea supply chain that works for farmers and US and UK consumers. A key problem for small farmers in tea is that the fair trade certification system deserted them twenty years ago. Fair trade coffee; even the multinational version; has meant at least some small farmer benefits. This is because the robust supply chain of small farmer co-op (primarily Latin American) to Alternative Trade Organizations (ATO) that was painstakingly built over many years was simply handed to the certifiers for the benefit, not of the farmers, but rather, the importers and supermarkets. Unlike the hard work that was done by farmers and ATOs in the coffee supply chain, no one had done the work of finding, organizing, financing, and buying from small tea farmers. So these farmers were excluded from the “fair trade” model; rendering that model into a weak form of social responsibility posing as actual fair trade. To this day, if you see a fair trade seal on a tea product you can be confident it does not come from small farmers who participate, have democratic rights, and are on any path to real empowerment, ie., having a seat at the table. Despite this complete bastardization of “fair trade” by the certifiers, who find working with small farmers too risky, and who make terrible market decisions in the name of those farmers, authentic fair traders have not given up. 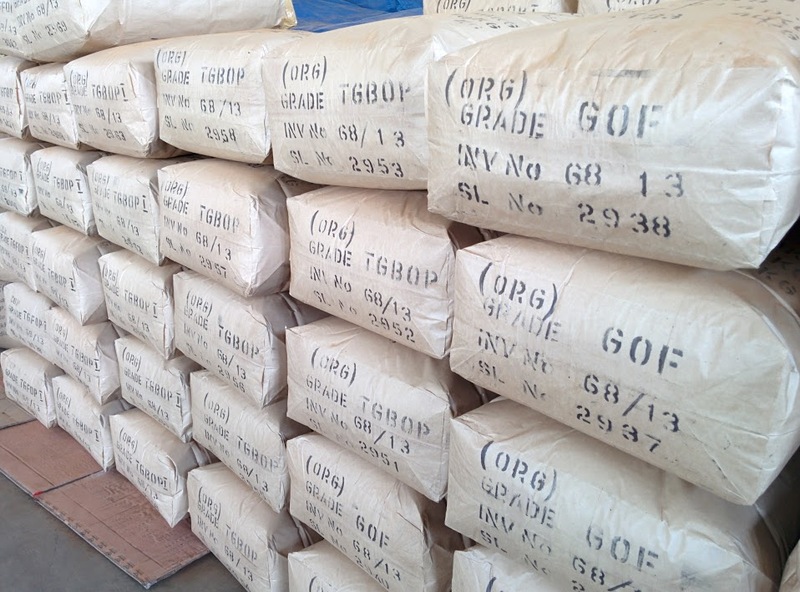 The certifiers have proven to be inept at reforming commodity trade beyond coffee. They have not succeeded in creating impact and reform beyond the coffee model which they merely inherited. They have, however, been successful in building northern bureaucracies and fiefdoms. 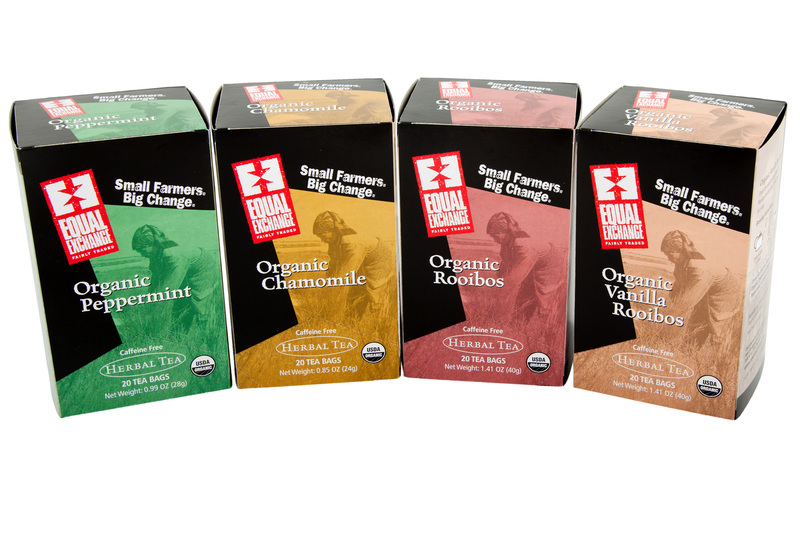 In 2010, Equal Exchange decided that our small farmer tea program had to be changed. We took in-country packing out of the hands of our partners in India, Sri Lanka, and South Africa. This was a hard decision to make as it took money and control from the very partners we are set up to support. But we concluded that without this move we had almost no chance to increase volume or to even be a decent trade partner. So in the context of a challenged supply chain that only somewhat worked for farmers, ourselves, and our trade partners, such as Tea Promoters of India (TPI), we took value-added away from the global south, and brought it back to the U.S.
After 2011 and 2012, we were unable to prove that these changes were succeeding in strengthening the supply chain. We believed that by having more industry standard packaging and greater control and flexibility, our sales would increase, thereby benefiting our tea trading partners. Our sales did increase in this period but not as much as we expected. This year, however, we have begun to see strong growth (40%) and believe the changes we made are finally working. With great perseverance, we have seen our sales (and thus also our purchases) grow; which means we are more able to have the necessary volume to support systems in-country to allow small farmers to enter the tea trade in a direct and more equitable manner.